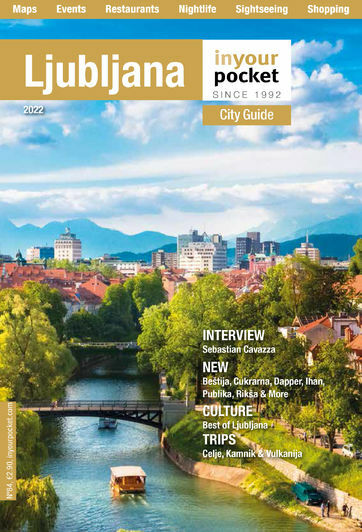 Looking for just that right thing that will capture your wonderful time in Slovenia and will also fit into your suitcase? Or something for your neighbour who promised they would water your plants while you were off having a fantastic holiday? It can be tough and stressful to find just the right memento, especially when you might just want to spend all the time you can soaking up the beautiful city. Luckily, we have some less-than obvious ideas for you, that differ from the typical magnet or plush toy. 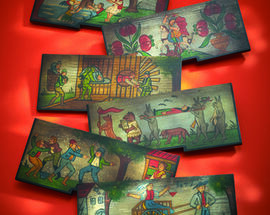 Bringing back some Slovenian art to hang on your walls is a lovely way to take some of Slovenia back home with you. Porcelain Catbriyur makes elegant, uniquely shaped bowls, teacups, necklaces, and much more - with recipients being the Queen of England, the King of Norway and Vladimir Putin, among others. While a little pricier, this souvenir makes for a great gift, and if you’re worried about it being fragile when travelling home, Porcelain Catbriyur can ship it to you at a reasonable price. 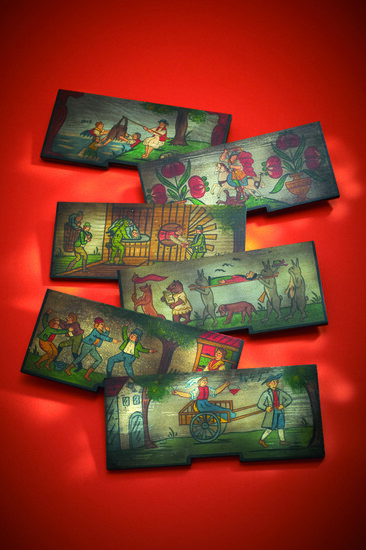 Rustika has traditionally painted beehive panels, which are handmade and uniquely crafted after Slovene stories (some of them grotesque, making for an interesting conversation when people look a little closer at it). 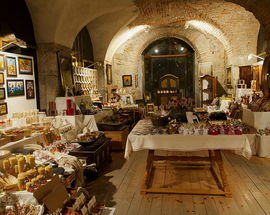 They also have traditional red honey-dough biscuits (lecitar), traditional to both Slovenia and Croatia. Food can be a great souvenir to bring back home with you - especially if you’ve been floored by the flavours that Slovenia has to offer. Bringing back a traditional Slovenian condiment or food like pumpkin seed oil (bučno olje), honey (med) or juniper brandy is an excellent way to show someone what they’ve missed out on, or a way to reminisce about a terrific meal you had. 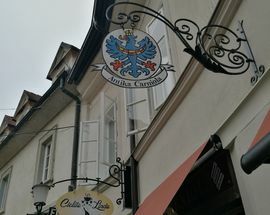 Kraševka, although not technically a souvenir shop, has a large supply of Slovenian ingredients, foods and delicacies. With all of its food coming from small local producers and farmers, its pumpkin seed oil is especially popular with both locals and foreigners. And if you’re concerned about the weight of your luggage or liquid restrictions, Kraševka also offers miniature bottles of oil and liquer. 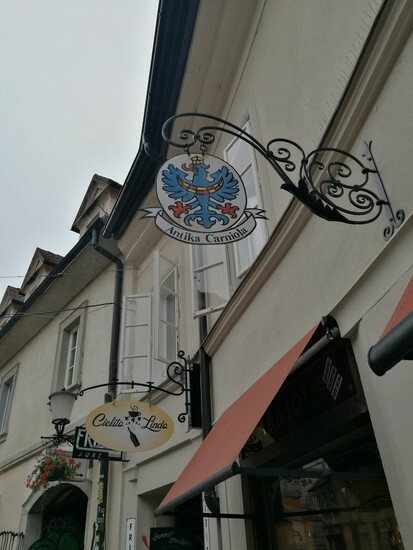 If you haven’t had the time to make it down to Slovenia’s small but mighty coast, make sure you stop by Piranske Soline - one of the winners of our Best Slovenian Souvenir Shop 2017 poll. 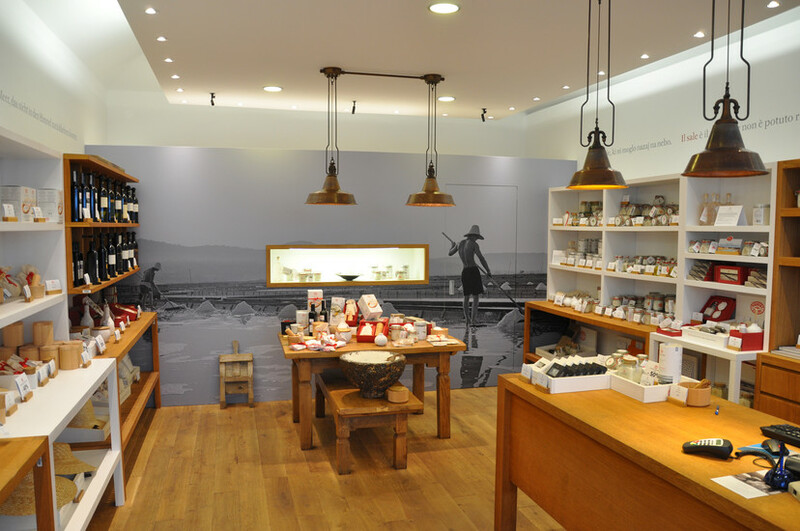 Specializing in salt from Piran, Piranske Soline also offers other salt-based products; from pampering soaps to salted dark chocolate. The Piran salt pans were formed more than 700 years ago, and they are still harvested with the same traditional method. 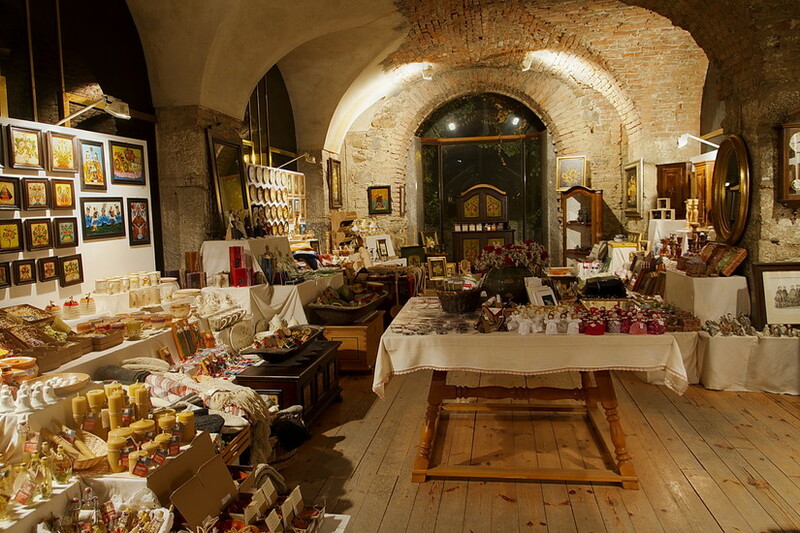 Another winner of our Best Slovenian Shopping poll is Cukrček, a chocolate shop. With their many mouth-watering products, a must is their hot chocolate (vroča čokolada). Differing from ‘typical’ hot chocolate, Slovenian hot chocolate is far more thick and pudding-like - perfect for a cold winter’s afternoon. Make sure you know the food travel restrictions that some countries have, so that you don’t have to throw out this delicious souvenir out at customs. Buying an antique as a souvenir is an excellent way to obtain something completely unique with a rich history attached to it. From Partizan and Yugoslavian memorabilia to looming abstract paintings, Carniola Antiqua has nearly everything you can think of. 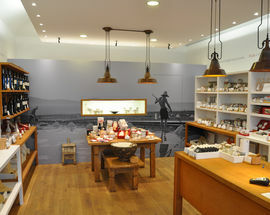 While perhaps not your traditional souvenir shop, with prices as low as one euro and its collection of unique products, Carniola Antiqua ensures that both tourists stumbling in off the street and knowledgeable collectors will be able to find something special to take home. What souvenir did you bring back from Slovenia? Let us know in the comment section!